FUJIFILM North America Corporation, Graphic Systems Division will present the latest innovations in wide format print applications with a visually-stunning wall of printed samples that will showcase the spectacular capabilities, and impressive print quality delivered by an exciting line-up of innovative Fujifilm wide format printing solutions at the upcoming SGIA Expo in Las Vegas, Nevada. Live presentations and hands-on demonstrations of equipment will be regularly held throughout the day in Fujifilm’s nearly 5,000 square foot booth, showcasing an extensive range of application possibilities. Making its North American introduction at SGIA 2016 is the Inca Onset X3, the fastest and most productive model within the Onset X Series of high productivity, high-quality flatb ed presses from Inca Digital. Attendees will see the Onset X3 print ten 22” x 28” posters in just 10 seconds, demonstrating the lightning speed and image optimization delivered by Fujifilm Inkjet Technology that incorporates FUJIFILM Dimatix Q-Class printheads and Fujifilm Uvijet inks. Taking flexibility and performance to a higher level, the Onset X Series (X1, X2, and X3) is a major evolution of Inca Digital’s pioneering ‘scalable architecture’ concept that provides upgrades from X1 through to X3 without having to buy a new press. Selected models within the series can be configured with up to 14 channels to jet several combinations of Fujifilm Uvijet CMYK, Lc, Lm, White and Orange inks. This allows each customer to customize their Onset X press for the combination of speed, productivity, and color, that best meets their ever-changing production requirements. Also making its North American debut on the show floor in Fujifilm booth # 1119 will be a soon-to-be announced all-new member of the popular Acuity Series. Creativity is the hallmark of Fujifilm’s Acuity Series of UV flatbed printers, and the new model is no exception. 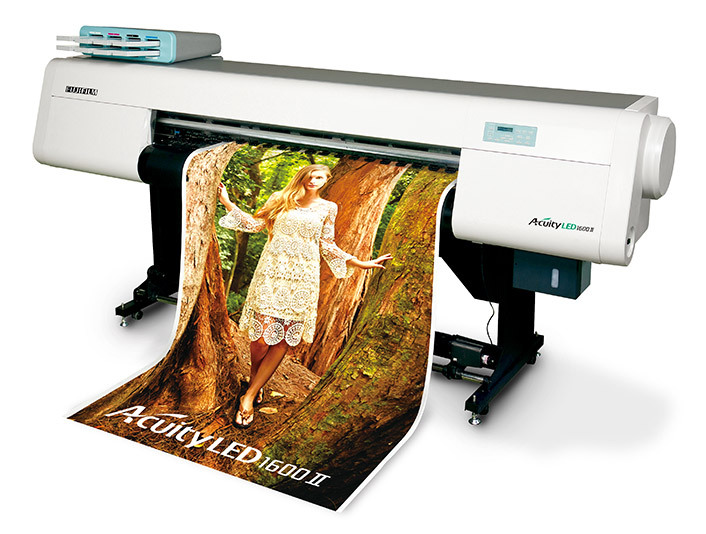 With the ability to deliver fine art printing like never before, and the addition of several new features to further boost productivity, it’s no wonder the Acuity is the most widely sold wide format printer in its class. 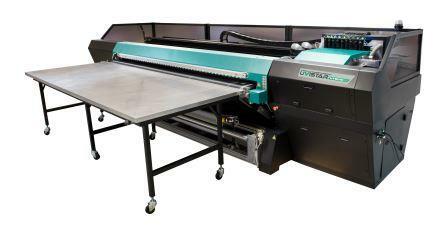 Show attendees will also see the Acuity F, the most productive flatbed in the Acuity series. This UV press produces exceptional print quality at speeds up to 1,668 square feet per hour. The Acuity F, typically configured with seven colors, including White, maintains all the advantages of the popular and successful Acuity series, including near-photographic image quality, versatility and ease of use. The large print bed enables non-stop printing for the efficient and high speed production of rigid media applications. The Acuity LED II is also in the Fujifilm booth at SGIA. A faster printing mode at 355 square feet per hour makes this model 65% percent fas ter than the previous model. The Acuity LED II improves its media adaptability with expanded vacuum modes and increased quality at larger head gaps. Added benefits include modes for printing color and White, color – White – color, and even color – White – clear, in a single pass for expanding the range of applications on clear and colored substrates. Uvistar Hybrid 320, a 3 .2m, combination flatbed and roll printer, capable of producing high quality output at speeds of up to 2,100 square feet per hour. Utilizing FUJIFILM Dimatix Q-Class printheads and Fujifilm Uvijet inks, the Uvistar Hybrid 320 prints full grayscale output of exceptional quality and delivers a wide gamut of vibrant colors. The patented tri-lobal belt and three-zone intelligent vacuum system delivers best-in-class media handling and ensures that all typesof substrates track accurately in roll or flatbed mode. 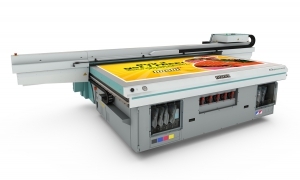 The press is available in an eight channel configuration delivering CMYK, Lc, Lm, Lk and Orange inks to make it easier to hit more corporate brand colors, and a nine channel configuration is available with White ink. Not to be missed is the Workflow Discovery area, where Fujifilm representatives will be discussing the latest in technology for wide format workflow solutions, featuring premier partner solutions Caldera and ColorGATE. These RIPs support the latest APPE technology providing the fastest RIP speeds on the market so printers can keep up with their production needs. Both RIPs have top class color management engines to consistently control color. Be sure to visit Fujifilm booth # 1119 to experience the capabilities, impressive print quality, and range of applications delivered by Fujifilm’s wide format solutions.